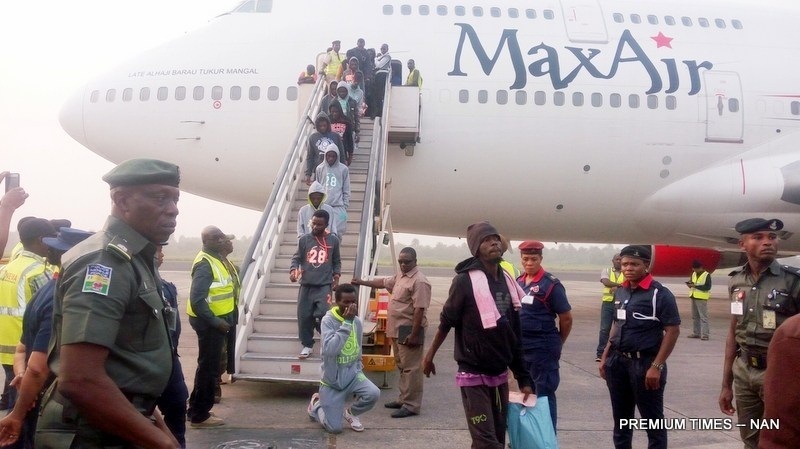 The Planning Officer of NEMA, Segun Afolayan, said in Lagos on Friday that the returnees arrived at the Murtala Muhammed International Airport, Ikeja, at 9.45p.m on Thursday. Mr. Afolayan said the returnees landed at the Cargo Wing of the airport aboard Libyan Airline flight with registration number 5A-DMG. He said they were brought back through the assistance of the International Organization for Migration (IOM). “After profiling, the returnees comprised of seven female adults and 153 males,” Mr. Afolayan said. “The best option is to live a dignified life, make their families happy and make the country proud by contributing their own quotas,” Mr. Afolayan said.